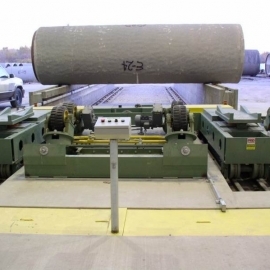 PRD has responded to the needs of pipe producers throughout the world for over three decades. With over 200 machines in operation worldwide we have become a major player in the expansion of many developing countries. As a manufacturing partner, we help countries initiate pipe production factories to improve their national infrastructure and growth in the world market. These factories produce pipe products essential to highway construction, water distribution, and petroleum products transportation. 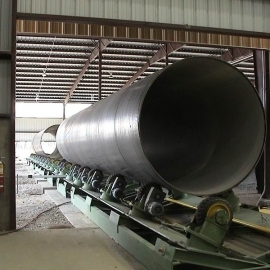 PRD’s world leadership in large diameter pipe manufacturing technology is built upon innovations and uncompromising excellence in manufacturing, customer support and service. We are working with pipe producers to transform leading-edge ideas into highly efficient pipe manufacturing plants. 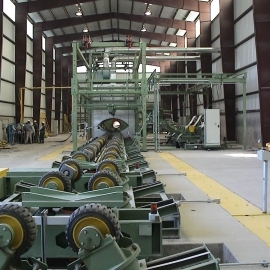 We provide turn-key factories, including planning and engineering services, all plant equipment, staff selection assistance, training, and initial production oversight. 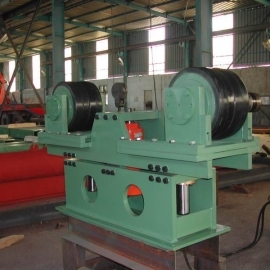 PRD can supply Pipe Manufacturing Mills, all of the Ancillary Pipe Manufacturing Equipment (hydrostatic testers, X-ray testers, ultrasonic testers, pipe handling equipment, uncoiler, and pipe cutoff and end-forming equipment), Coating & Lining Equipment (Cement, Fusion Bonded Epoxy, Three Layer PE, etc.) 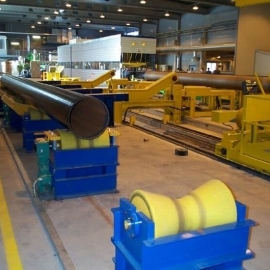 as well as Turn-Key Pipe Plant Projects. PRD is the only Company that supplies, worldwide, a complete range of Spiral Pipe Manufacturing Systems as well as Pipe Coating and Lining Systems. These PRD product categories effectively constitute a complete and continuous product line, offering turnkey systems that can meet the needs of a wide range of customers. The Company is unique in the industry in this regard. 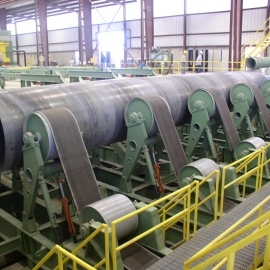 Whether you need a complete spiral weld seam pipe manufacturing facility or a turn-key pipe coating and lining facility or both, PRD is your one stop source for pipe manufacturing equipment, systems, and complete facilities. Feel free to contact us by telephone or right on our website!